X Factor judge and music manager Louis Walsh is the latest celebrity to speak out against testing cosmetics on animals as part of Humane Society International's star-studded CrueltyFree2013 campaign. Louis joins stars such as Leona Lewis, Sir Roger Moore, Ke$ha, Ricky Gervais, Melanie C, Dame Judi Dench and Mary McCartney in signing HSI’s petition to ban the sale of animal-tested cosmetics in Europe. More than 142,000 consumers have also signed the petition. With a ban in place, any cosmetics tested on animals after 2013 would be banned from EU shop shelves. Animal testing for cosmetics is banned across the UK and European Union, but ingredients can still be tested on animals in other countries such as Brazil, China, Canada and the United States and then sold in EU shops. Animals can have chemicals forced down their throat, dripped in their eyes and applied to their skin. Sometimes pregnant females and their unborn babies are exposed to cosmetic chemicals. A ban on selling these animal-tested cosmetics is due to come into force in March 2013 and would act as a major financial incentive for companies to kick their animal testing habit. However, the European Commission is now considering a proposal that would give cosmetic companies a loophole to continue profiting from animal suffering. HSI supports the international Leaping Bunny cruelty-free standard. Companies that carry the Leaping Bunny logo are subject to independent audits to guarantee no animal testing, and include Urban Decay, Montagne Jeunesse, Marks & Spencer, Sainsbury’s and the Co-operative. To shop cruelty-free, download the Leaping Bunny Compassionate Shopping Guide. 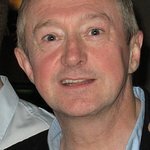 To join Louis and sign the CrueltyFree2013 petition, go to www.hsi.org/crueltyfree2013.